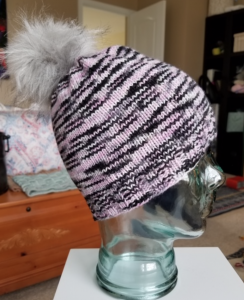 Learn to knit a basic hat in the round for anyone of any age! Skills learned include joining and knitting in the round, using double pointed needles and decreasing. · 100-200 yards worsted weight yarn depending on size. · 16 in Circular needles sizes 6 & 7 (or sizes to get gauge on smaller needles – 20 sts = 4 in). Circular needles are not needed for newborn and baby size. · Size 7 dpns (or size to get gauge).